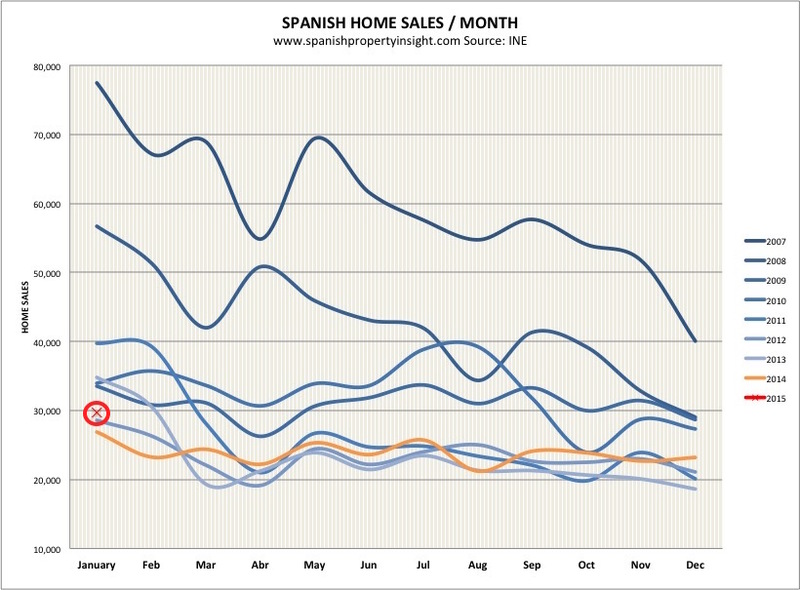 The Spanish property market expanded by 10 per cent in January, according to monthly data from the National Institute of Statistics (INE). That is the first time the market has grown without artificial stimulation by the Government messing around the with the tax code since the crisis began. There were 29,667 home sales in January (excluding social housing), up 10 per cent compared to the same time last year, and 28 per cent compared to the previous month. Once again, the star performer was the resale segment of the market, up 51 per cent compared to the same time last year, whilst new home sales were down 38 per cent. The gap between new and resales gets ever wider, and will probably continue to do so given the lack of attractive new developments in the pipeline. 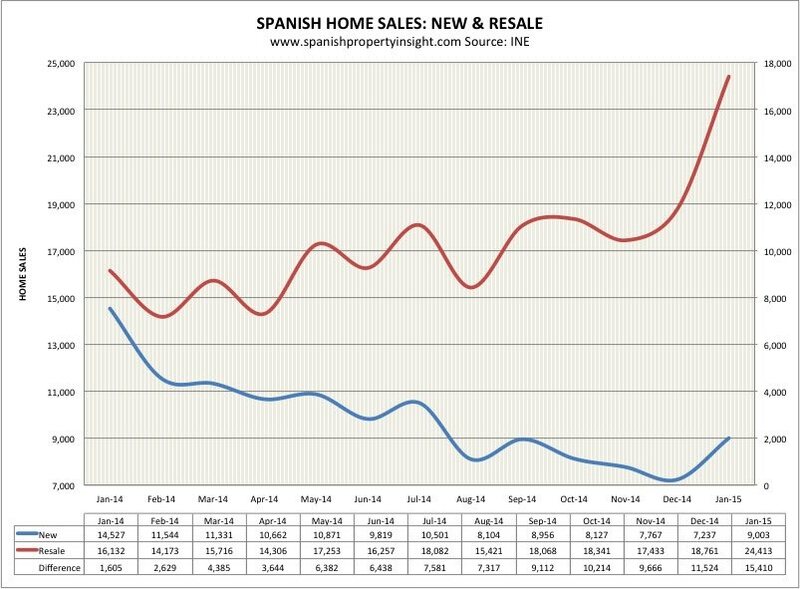 This is more evidence that the Spanish housing market has put the worst of the crisis behind it, but no reason to expect a robust recovery in sales anytime soon. The overall Spanish property market still faces substantial headwinds like high unemployment, excess supply, and mortgage constraints. That said, some areas are in much better shape than others. Property sales in the Canary Islands were dramatically up on last year, up 57 per cent in total, and a whopping 138 per cent just looking at resales. But Barcelona was the biggest story in January, given its size as the second biggest housing market in Spain after Madrid. Barcelona property sales were up 26 per cent in January, and 40 per cent if you just count resales, with new build sales down 21 per cent thanks to an almost total lack of new supply. 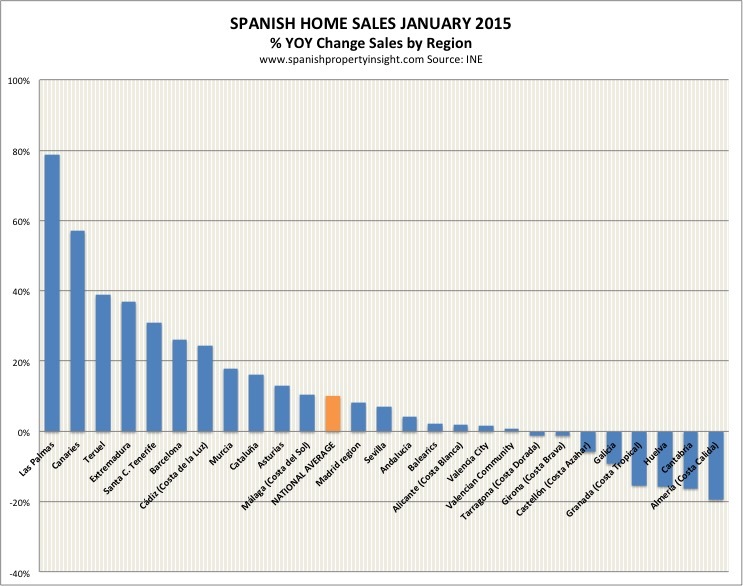 If January sales were anything to go by, Barcelona is shaping up for a good year as a Spanish property hotspot.